We are pleased to introduce our specialist programming services capability statement, which provides an overview of RCP’s project time control services and showcases our diverse portfolio of construction projects throughout Australia. Our specialised programming services facilitate an integrated project development and delivery which brings about effective control and optimum project time performance. 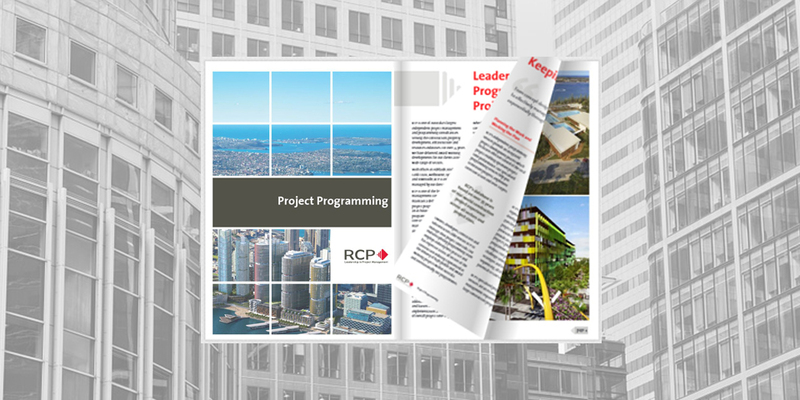 Whether you’re an owner, developer, financier, contractor or subcontractor requiring specialist short-term resources or management of the total project, RCP provides a broad range of specialised programming services to suit your requirements. Our programming services capability statement can also be viewed and downloaded from our Project Programming and Downloads pages.